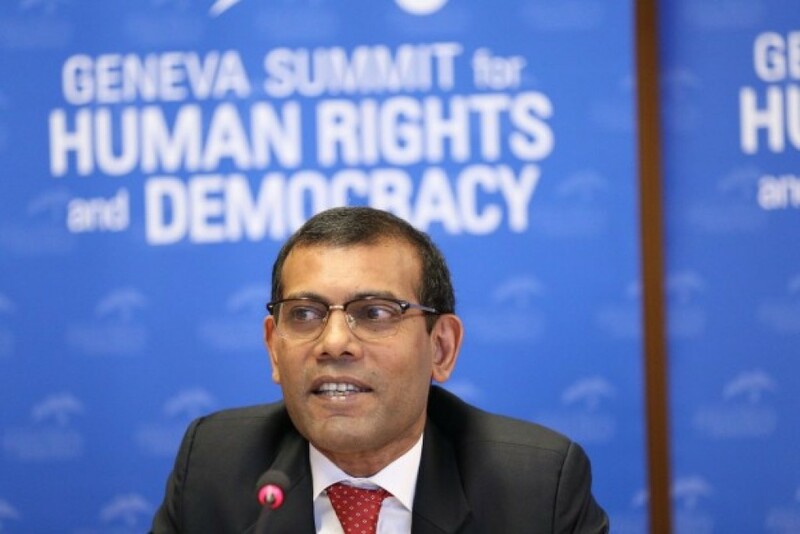 Male, April 16 (newsin.asia): The Maldives government must quash the conviction of self-exiled former President Mohamed Nasheed and allow him to contest the Presidential election later this year, the UN Human Rights Committee said on Monday. However, Maldivian government sources said that it is not possible to release Nasheed because he had been convicted for terrorism. He had kidnapped a judge and kidnapping is deemed to be an act of terrorism under Maldivian law. The most high-profile figures remanded until the end of the trial included former president Maumoon Abdul Gayoom, chief justice Abdulla Saeed and top court judge Ali Hameed – all now on trial charged with terrorism over the alleged plot to overthrow the government. Prosecutors have also formally charged four opposition lawmakers over the alleged coup plot. Gayoom’s lawmaker son Faris Maumoon, Jumhoory Party (JP) deputy leader Abdulla Riyaz, Dhangethi lawmaker Ilham Ahmed and South-Machchangoalhi lawmaker Abdulla Sinan have all been charged with terrorism for conspiring to overthrow the government. The Supreme court, now reduced to three bench judges soon after the arrests, later reversed its decision to quash the convictions of the opposition leaders. In addition to Nasheed, the other top political leaders named in the now rescinded order included Jumhoory Party (JP) leader Gasim Ibrahim, religiously conservative Adhaalath Party (AP) leader Sheikh Imran Abdulla, former defence minister Mohamed Nazim, former vice president Ahmed Adheeb Abdul Ghafoor and Gayoom’s lawmaker son Faris Maumoon. Former prosecutor general Muhthaz Muhsin, magistrate Ahmed Nihan and Adheeb’s uncle Hamid Ismail make up the rest of the list.